A foldable shopping bag made from recycled plastic bottles (RPET). Blue with white Biome tree logo. Folds up into a small pouch. 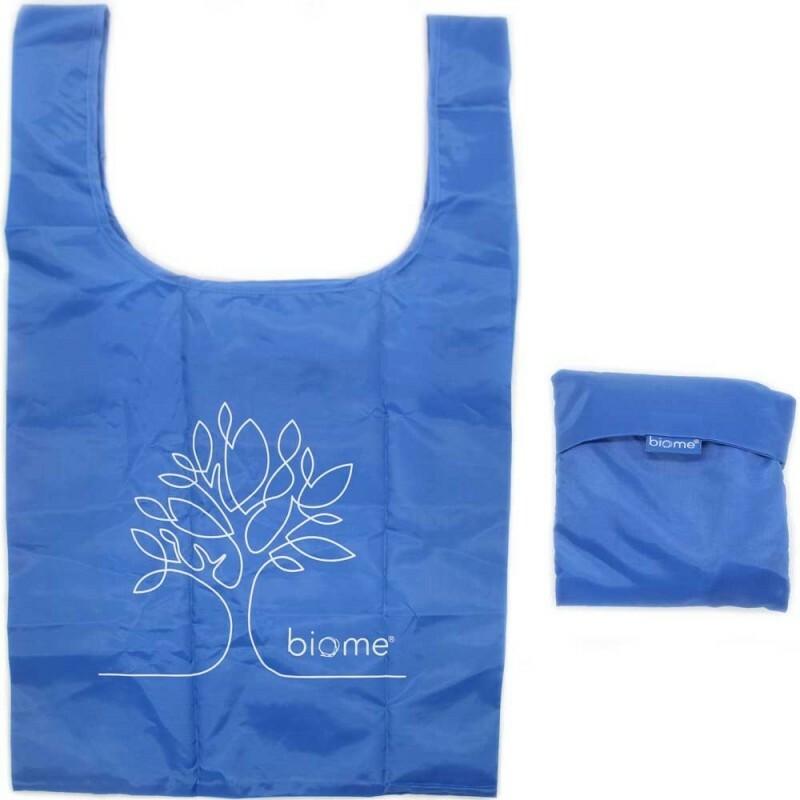 Blue colour with white Biome tree logo. 38.5cm (W) x 45cm (H) (66cm including handles). 14cm x 12cm pouch when folded.